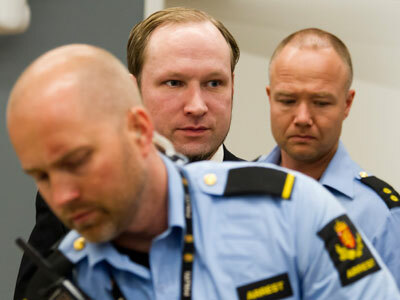 Norwegian, Anders Behring Breivik, accused of terrorism and mass murder, has said he will not appeal any ruling that sends him to prison, but will fight any verdict which finds him insane. The ruling is expected for Friday. 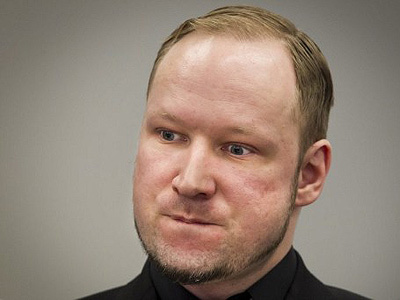 Breivik stands accused of killing 77 people in June 2011, detonating a bomb in Oslo which left 8 dead, then on the same day killing 69 more – mostly teenagers – after going on a shooting spree at a Labor party youth camp, on Utoya Island. Having confessed to the attacks, the defendant claims he was protecting Norway against Islam and multiculturalism, which he accused the ruling Labor party of promoting. 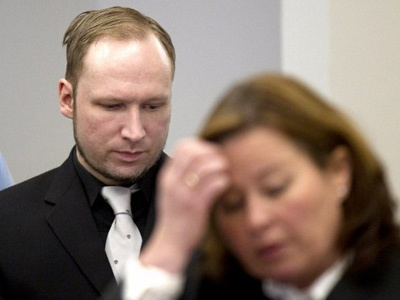 During the trial Breivik recounted in gruesome detail shooting those who attempted to play dead and driving others into the sea where they drowned.Despite this, he rejected the charges of terrorism and murder, claiming the attacks were on “traitors” whose views and immigration policies had damaged the country, allowing a “demographic war” against non-Muslims and was therefore acting in self-defense. 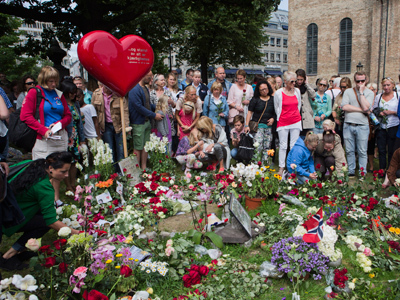 Having admitted to carrying out the worst atrocity on Norwegian soil since World War II, Breivik’s sanity has long been the center of criminal proceedings. Prosecutors have said that if he is found sane, they will ask for the maximum sentence of 21 years, though he could be held longer if he is viewed to be a threat to society. "If we look at the basic human rights and take into account that the defendant has a political project – to see his actions as an expression of illness is to take away a basic human right, the right to take responsibility for one's own actions," Lippestad insisted as the 10-week-long trial wrapped up in June. 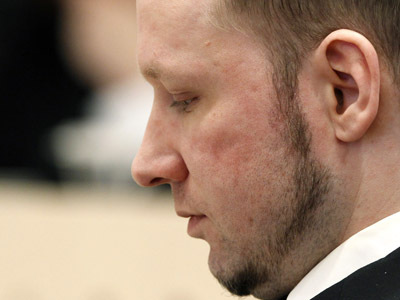 Initially, forensic psychiatrists Torgeir Husby and Synne Sørheim concluded that Breivik was suffering from paranoid schizophrenia, in a report issued last December. 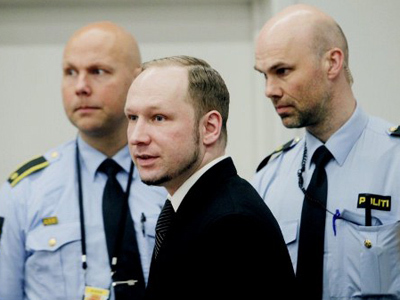 Following a massive wave of criticism from legal and psychiatric experts, the court decided to appoint two new psychiatrists, who in April found that Breivik was legally sane.However, it remains unclear if the court will uphold the second expert analysis. 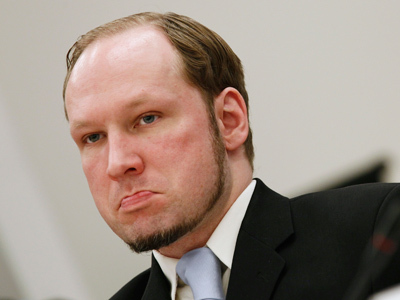 Breivik is currently jailed in a three-room jail cell, equipped with a computer and treadmill, having access to a games room, television, newspapers and daily outdoor strolls. 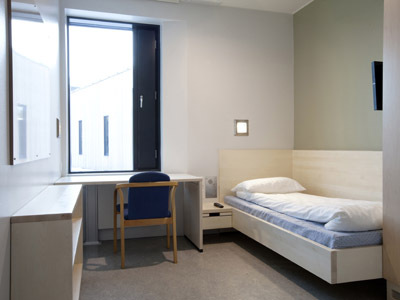 The cost of building a specially-designed psychiatric ward to house Breivik, inside Oslo’s Ila Prison, was estimated at between 130,000 and 260,000 euro. The Norwegian daily, Dagbladat, had previously estimated it would cost several thousand dollars a day to house Breivik in such conditions, leaving many Norwegians questioning the authorities response to such an act of brutality. 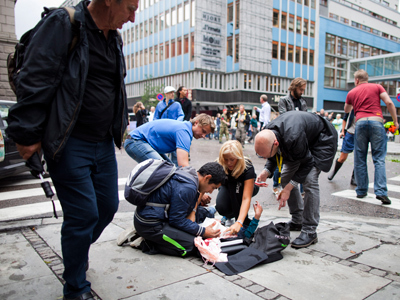 A recent report saying Norwegian police could have stopped Breivik much sooner, if not for a poorly coordinated response by officers and intelligence services, has ignited more debates within Norway about the country’s balance between liberty and security.